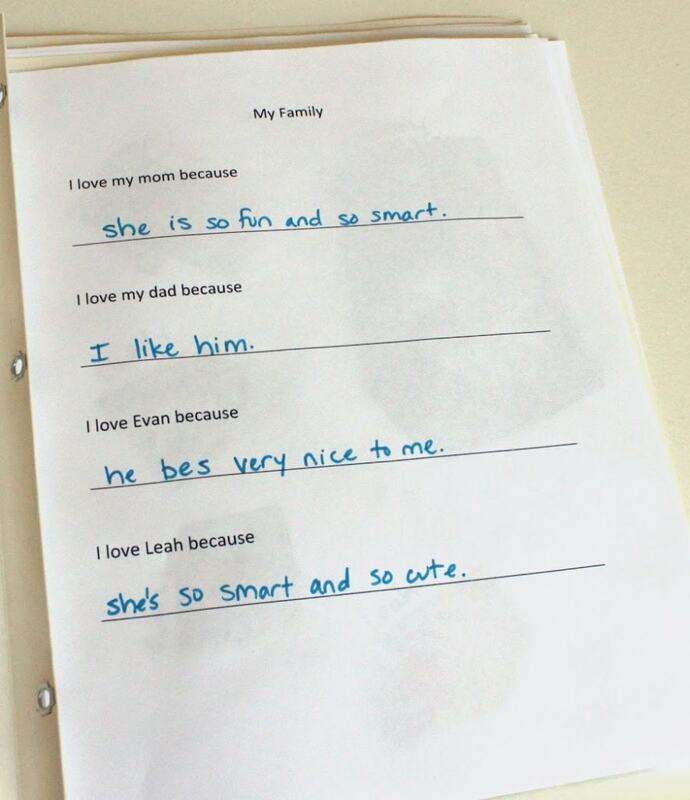 Since it was a Mother’s Day gift, I thought I would have them answer some questions about their moms. 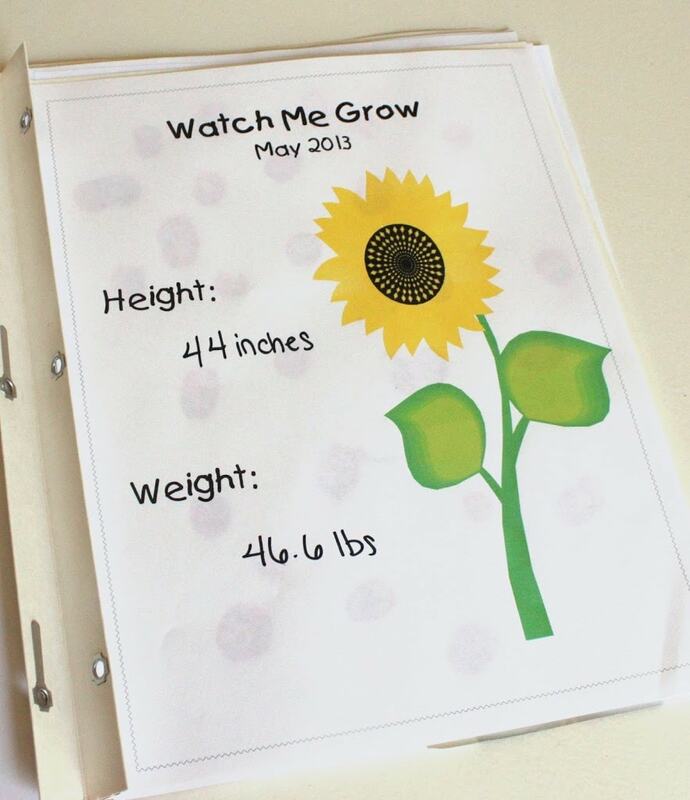 I found this printable and made my own version. She came from the store???? Not sure what that’s about, Audrey. 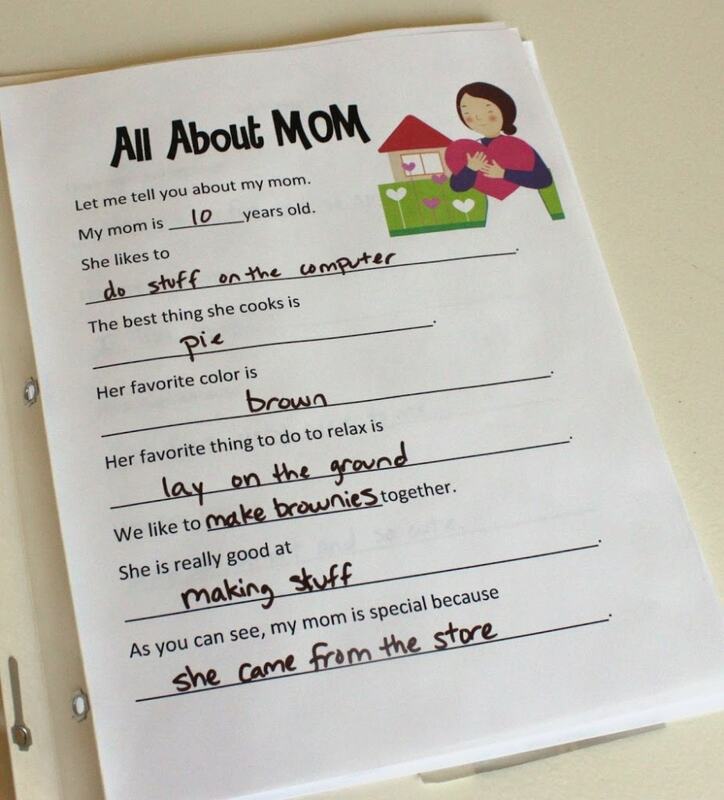 One of the kids said her mom is good at doing somersaults. Hahaha. I made this page for each of the kids that included all of their family members. 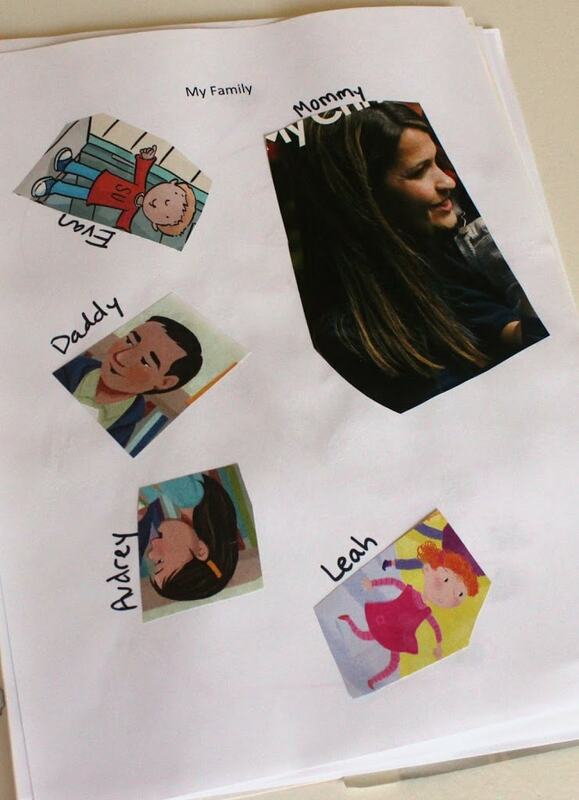 Then I had them cut pictures out of magazines that looked like their family members. This was fun, and also pretty funny. Audrey’s was surprisingly accurate. I traced their hands, and we stamped all of their fingerprints. Apparently Audrey is 3-4 inches taller than all of the other preschoolers. 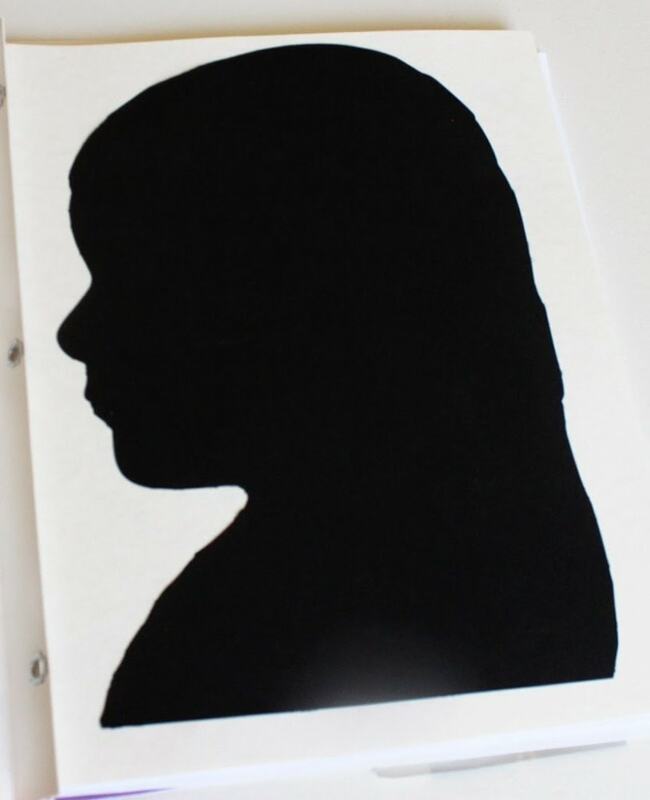 I also took photos of their profiles and turned them into silhouette cutouts. 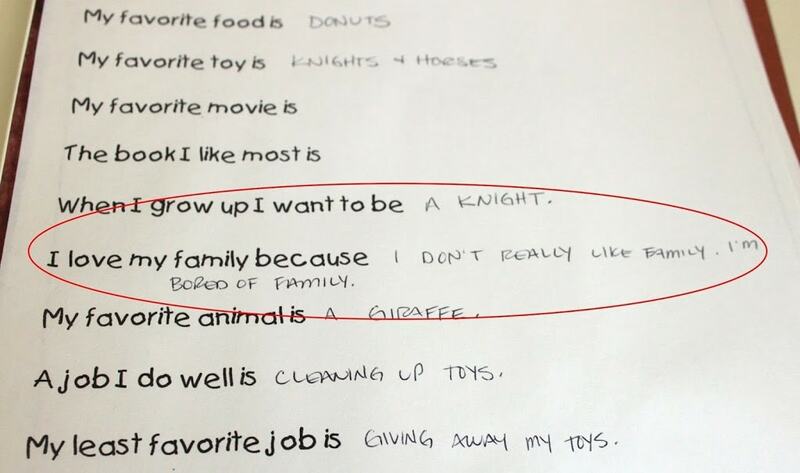 And the funniest answer came from one of the boys. This is a sheet that they did the previous week. Haha. 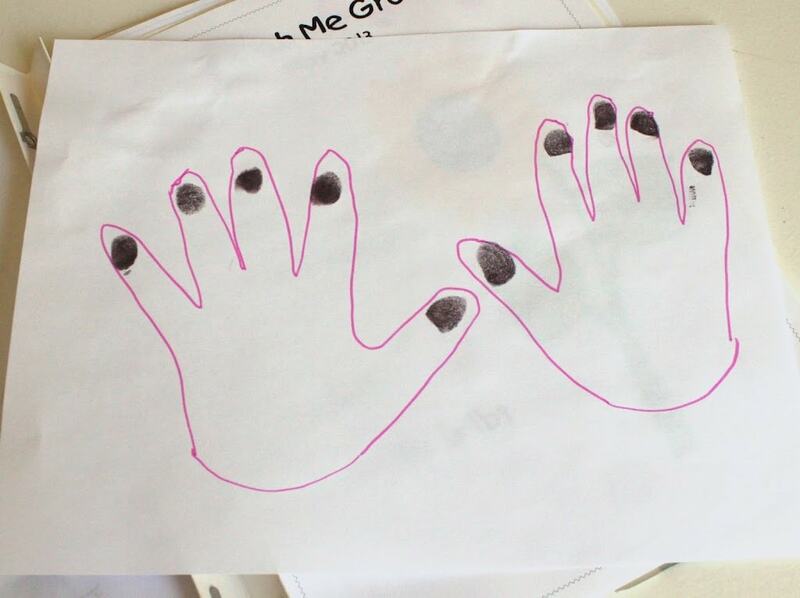 The books also included painted handprints and footprints, self portraits, and drawings of their families. Everything is going to be put into page protectors and slipped into folders. Something that the mommies can treasure forever! Those are really cute! Kids say the funniest things some times. Thanks! It was so fun to interview them!